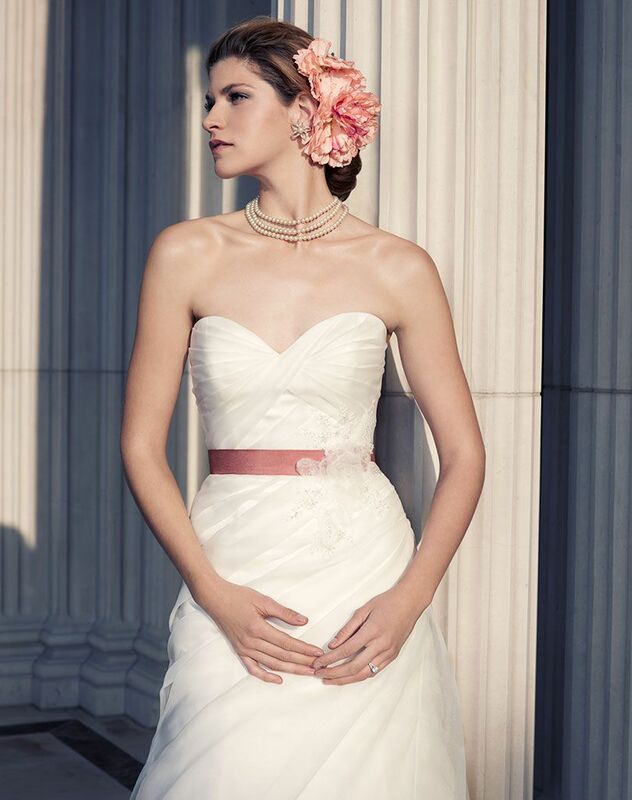 Strapless A-line silhouette features a sweetheart neckline with an asymmetrical ruched bodice. Gown is beautiful with or without the grosgrain ribbon sash that peeks beneath the lace on front bodice. Lace and 3-dimensional soft tulle floral pattern give texture to the skirt, and the zipper is finished with crystal buttons.